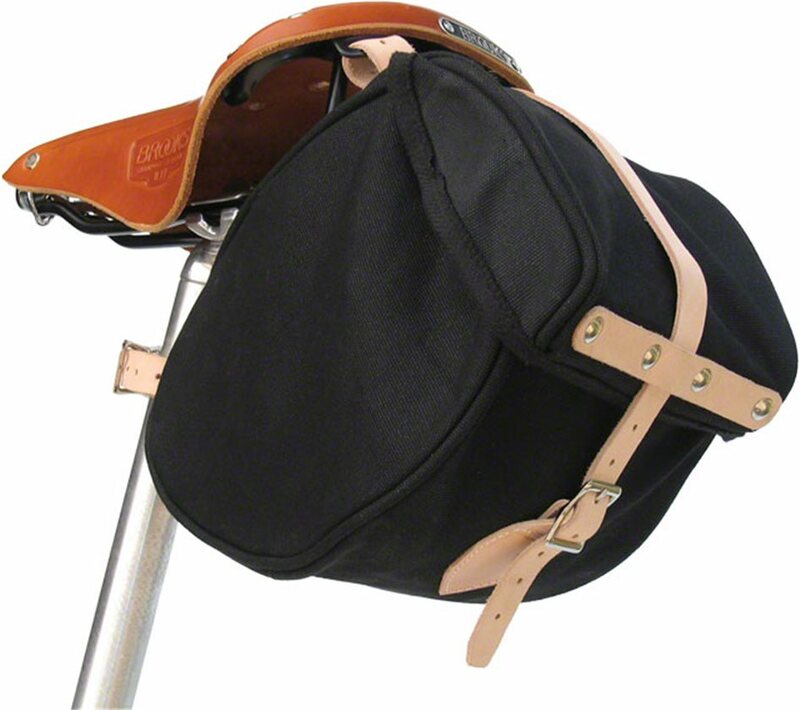 Carry your goods in style with the endlessly classy, yet ruggedly functional Minnehaha Canvas Seat Bag from Banjo Brothers. 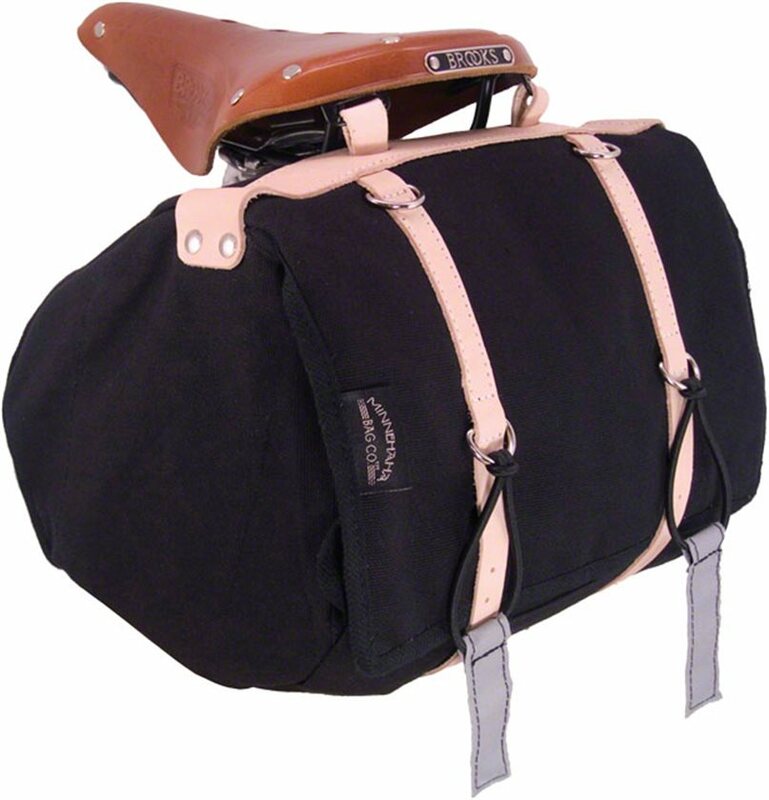 These classic bags attach to your bike with three heavy-duty leather straps, making it a perfect match for bikes without a rack or a stylish addition to your decked out touring rig. Whether you're packing a picnic, tools and an extra layer, or just headed out to grab a few essentials at the market, the Minnehaha will hold your stuff and look good doing it.